In the last few years, as I have matured and become more conscious, I have learned what it really means to appreciate life. In the busy hustle and bustle of the everyday routine, coupled with the huge distraction of the latest technology, it can be easy to miss the incredible miracle that life is. As I become more grateful everyday, I have learned to appreciate the more common aspects of my life on a deeper level. Last night, I was reminded of one of those very aspects – hanging out with my girlfriends. I have always loved “girl time” but because we don’t hang out that often, whenever we do, I appreciate it even more. The best thing about our friendship is the love, laughter and great conversations we share. No matter where we get together, those characteristics are always present. Paying close attention to things like that is what keeps me in touch with what’s real. That is exactly what today’s post is about. So many people spend their lives trying to do and buy so much, that they get distracted from what’s real in their lives. Human connection is real. Love is real. Nature is real. These are the things that make life as amazing as it is, and these are the things that should be cherished the most. Take 10 minutes out of your day today to watch this powerful and beautiful video that gives a compelling point of view on appreciating life. Share your thoughts in the comments: What inspired you the most about this video? What do you do in your everyday activities to appreciate life more? Wow! Oh my God is right! Such beauty that is a gift so many of us miss every day! Thank you so much for sharing this post! I’m feeling real grateful right about now! I know, it really does make you feel incredibly grateful in the moment while watching it. It made my insides leap, so I had to share. Wow! 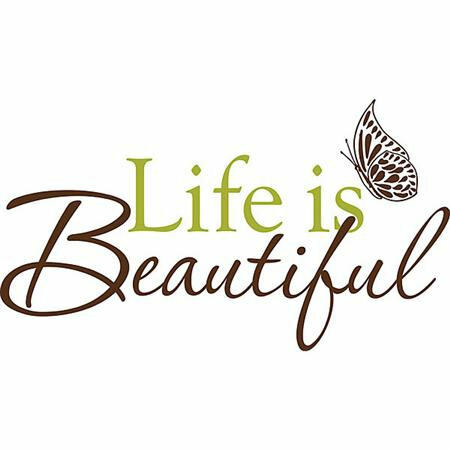 Thanks for sharing this beautiful gift that is life! Absolutely beautiful video. I loved all of it but especially the time-lapse photography which showed the flowers opening. That was totally awesome. Actually, the first thing I do every morning when I wake up is to send up a thank-you prayer for the gift of a new day. Then I follow this with my devotional time which sets the mood for the entire day. I think we’re all moving way too fast these days, and I love spending time outdoors just appreciating nature. Beautiful blog and I’ve subscribed. Hey Sandra. I loved the time-lapse photography too! And I start my day off the same way you do! Great minds think alike. 🙂 And thanks for subscribing. Hmmm… Now I know why people get old so fast. They’ve forgotten to appreciate life and to enjoy every bit of it. This is next on my to-do-list. I’ve been subscribed for over a week now and I’ve enjoyed every post. Thanks. Lanre recently posted..How High Can You Fly? Thanks Lanre. And you are so right. People definitely age faster when they forget to truly appreciate life. Wow. I loved the possitive vibe of possibilities!!! Great post and a great reminder to be grateful for the little things. Thanks Alexis. Simply empowering and beautiful! only one guaranteed. Thanking God for His gift (LIFE) one more time! God’s gift to us is life and what we do with it is our gift back to HIM. An attitude of gratitude is the appropriate response. Thanks Robin! You are absolutely right. I think that I am in the same place as you right now, I am starting to mature and understand how the world works. Dont you wish you had this realisation a few years ago? lol, Yes indeed. I think that a lot. But I am grateful that at least now I’m getting it. Better late than never. In our hectic lives it’s sometimes easy to miss the opportunity to show gratitude for the the beauty of nature, the love of family and friends and the gift of another day. I do think, however, as we grow and mature, we are much more mindful of the power of gratitude. Thanks for sharing such an inspirational post.